The MR flow transmitter further expands the Hedland variable area (rotameter) product offering by allowing flow rates and totals to be digitally displayed or transmitted via current or voltage output. The unit features non-contact sensor electronics, an electronic signal conditioning circuit and in-field compensation capabilities. Flow meter elements are enclosed within a NEMA 12 and 13 (IP 52/54) rated enclosure and is CE compliant. The large LCD display allows for extended viewing ranges and easier programming. 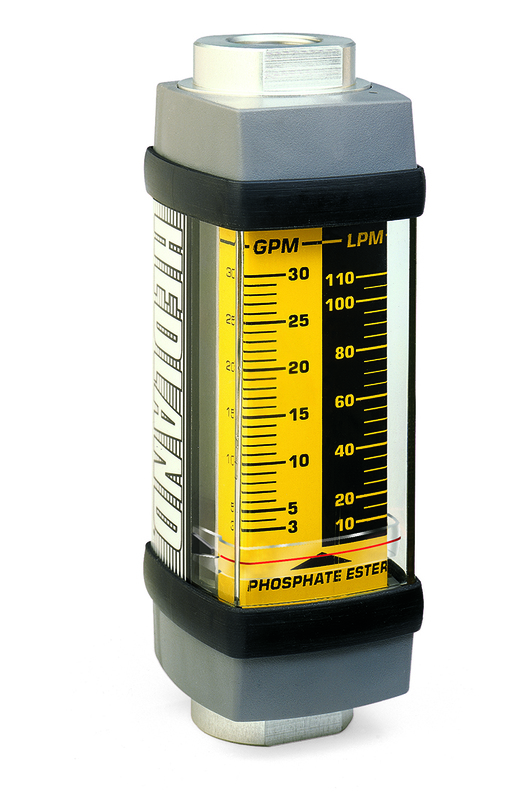 The Hedland Flow-Alert is a variable area flow meter (rotameter) that provides a local flow indication and electronic switches to automatically signal system operators or PLCs if flow rate is below, or above, system specifications. Flow meter elements are enclosed within a NEMA 12 and 13 (IP 52/54) rated enclosure. Users can order meters with one or two Micro or Reed Switches, in normally open or closed states. High temperature flow meters contain all the inherent benefits of the Hedland variable area flow meter (rotameter), but with extended temperature range capabilities. Test kits enable Hedland variable area flow meters (rotameters) to provide additional system information and diagnostic capabilities. 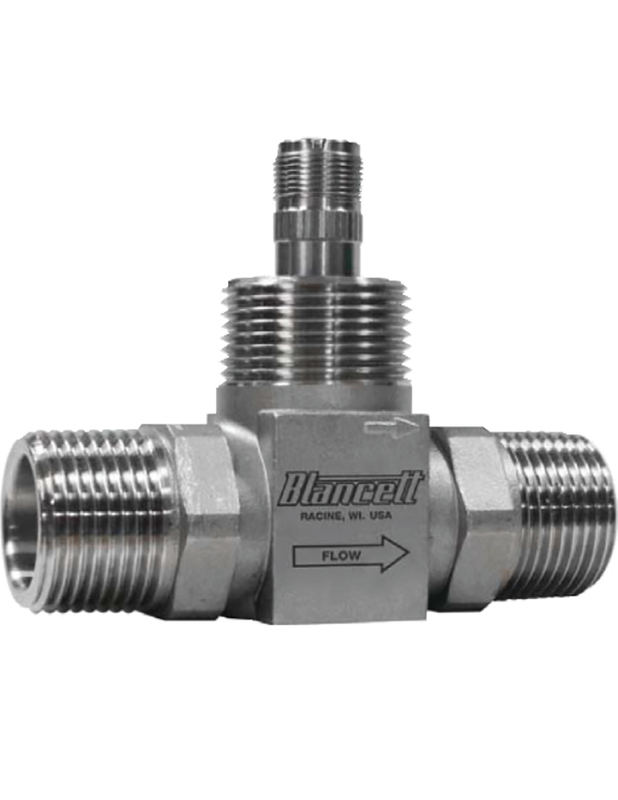 Standard flow meters are affixed with a pressure gauge and needle valve assembly, specifically designed to allow the operator to introduce a pressure load on the system. Various instruments within a system can be tested or verified against manufacturer specifications to ensure proper functionality. Instruments tested in this manner help promote fluid power safety by allowing operators to get a clear, visible indication of system health during operation, without the dangers of close contact with operating machinery.